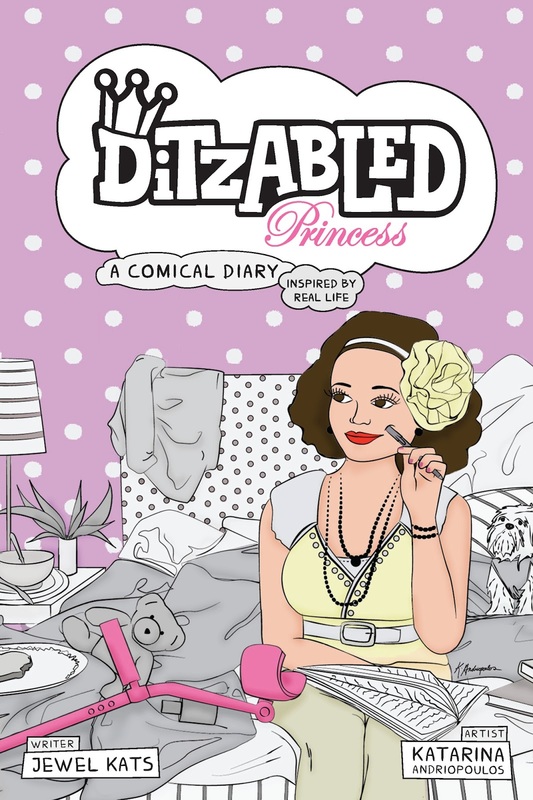 Ditzabled by Jewel Kats and illustrated by Katarina Andriopoulos is inspired by real life and is a comical diary and also a comic book like reading. While reading this book, I had quite a few laughs. She included all of her family and even made comic strips to do with each of them. The best part is about her husband and even the B.F.F. She had a lot of really good quotes and even made each of them pretty comical. 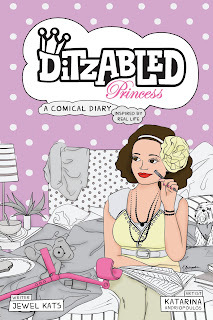 Jewel makes it clear that just because a person has a Ditzability, it doesn't mean that it has to get you down. You can enjoy life, be comical and even be a diva at the same time. She even makes the situation a really funny scenario to where you can get a great laugh out of it. Everyone needs a great laugh and this little book that is about 70 pages long, was well worth the wait. It’s weight in gold. Laughter is the best medicine. I thank the author for such a wonderful book. They sent this to where their blog tour would be part of our blog. Love the book and highly recommend this.